C&IT reports on a flying visit to Jersey to discover the island's event credentials. Millions of pounds have been spent on improving Jersey's C&I facilities, but are event planners pitching it? 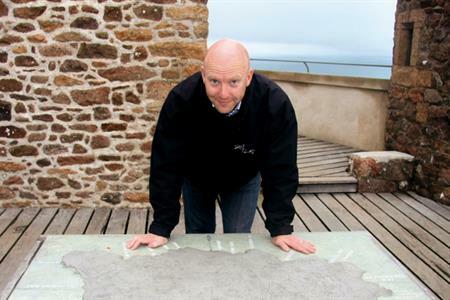 C&IT and Jersey Conference Bureau took Rick Stainton, commercial director of Smyle, on a tour of the island to see what it had to offer, and devised a classic 36-hour itinerary based on what he saw. 8.30am The 35-minute flight from Gatwick to Jersey makes it a breeze to get there. Gatwick is one of 20 airports in the UK and Ireland offering flights to the island. "You can get here very quickly," says Stainton. "But at the same time the perception of going overseas is exciting. If you have delegates spread around, it can be difficult finding that central location. This could be a solution." 10am After a short transfer from the airport, the conference can begin promptly at The Grand, which recently completed a £15m revamp. Head downstairs to the Hilwood-owned property's Park Suites. The largest, Grand Suite, can host 220 guests, while smaller groups are best suited to the Alice and Beatrice Suites, or the private cinema. 12.30pm Book The Boathouse for lunch. Popular with corporate groups, this harbour-side bar and brasserie can host up to 150 guests. Stainton says: "It's an amazing location with a 270-degree harbour view. It would be great for 80 salespeople staying at any of the nearby hotels. A lot of venues here are formal but this is more relaxed - great for younger groups." 2pm Lunch is followed by a trip to the countryside, where Jersey Pottery has been a fixture since 1954. The family-run business offers a perfect venue for team-building, with the option of designing and glazing your own pottery. "Delegates can create their own pottery, with the end products delivered to the hotel later," says Stainton. "You could reinforce business messages about reshaping the future." 5pm Interaction is maintained with a trip to Jersey's very own vineyard. La Mare Estate offers corporate guests a chance to try out wine-tasting, blending their own wine, barrel-building and hand-crafting chocolates, and can host dinners for up to 220. "This gets ten out of ten. There's a real team-building element here," says Stainton. 9pm Back to The Grand to round off a busy day with a relaxing drink in the stylish Champagne Lounge. 9am A generous buffet breakfast in The Grand's Victorias restaurant is a great way to start the day, although health and beauty fans might be keen to rise early and make the most of the decadent subterranean spa, with its swimming pool, relaxation rooms, body treatments and gym facilities. "This is absolutely stunning," says Stainton. "There's no point having showpiece features like this without sufficiently professional staff to support it, but I'm really impressed by the professionalism here." Afterwards, it's over to the Park Suites to continue with the conference. 12.30pm Lunchtime is the perfect opportunity for a trip to Longueville, the secluded 14th- century country house. With a strong CSR policy and kitchen garden providing produce for the restaurant, this traditional property is strong on sustainability. "If you want a sumptuous retreat where the objective is to treat people at the highest level, I think any trip to Jersey has to include Longueville Manor," says Stainton. "The standards of accommodation and service are comparable with Chewton Glen, but not as expensive. There's clearly a passion for excellence here." 2pm Getting back to nature is one of Jersey's specialities, and where better to do that than Durrell Wildlife Conservation Trust? Currently celebrating its 50th anniversary, the centre for endangered species offers a chance to work with wildlife. Groups can go behind the scenes and work with staff on feeding the animals or building new habitats. "This is unique," says Stainton. "If you've been sitting in a conference for a day-and-a-half, it's a breath of fresh air. It's a fantastic opportunity for interaction and you can leave a legacy, with a plaque to commemorate your achievement. Afterwards, there are a lot of lawns for marquees or picnics. It's very strong for a company seeking CSR." 5pm On the way back to catch the plane home, a perfect stopping point for dinner is the Atlantic Hotel. Only ten minutes from the airport, the 50-room property boasts a Michelin-starred restaurant. It specialises in small meetings for financial companies and recently hosted the construction firm Shepherd Group. "The golf course, extensive grounds and amazing views are obvious attractions," says Stainton. "If you were staying longer, you could have a marquee outside for a large group and then break into smaller groups. It's very stylish and the outstanding locally sourced food is a great selling point." Before his visit, Smyle commercial director Rick Stainton admitted his experience of Jersey was too limited for him to give the island a glowing endorsement. "I didn't have enough knowledge of Jersey and therefore wasn't confident about pushing it as a destination," he says. But his views had changed dramatically by the end of the visit. "Would I recommend it? How could I not?" he says. "I'm very enthused. I could take a premium car brand or a pharma conference with a focus on the beauty of the environment and sustainability. If your theme was introducing change, it could be very inspirational." One of his biggest revelations was the range of events, sectors and groups that Jersey could host. "The variety of venues made a big impression," he says. "You could host any group from 50 to 500. "For smaller groups, for example, there's the Club Hotel & Spa. Boutique can sometimes feel stuffy and over the top, but this has a balance of quality and informality. There's also Cardington House, a beautifully designed boutique venue that would be great for a car launch." Stainton was also impressed by the island's capacity for bigger events, with the long-established Hotel de France offering a space for up to 800 delegates, one for 400, and a number of additional rooms. "It's good to know you can do a larger production in Jersey," he says. "A lot of clients are using conferences to showcase new products, stakeholder partners and suppliers, so you could combine the conference and exhibition in one room or have a partitioned drinks area with a reveal in the main space." The newly built Radisson SAS Waterfront, Pomme d'Or Hotel and Royal Yacht also offer large spaces, while Mont Orgeuil could be a spectacular location for an evening event. The 12th-century castle got Stainton's imagination working overtime. "You could do a gastronomic journey with different courses on different floors, and have costumed characters appearing," he says. "It offers a great contrast to some of the contemporary venues we looked at." Food is seen as one of Jersey's strengths. "One thing that stands out is the identity of the island," says Stainton. "It's not an extension of England and everything seems to have a Jersey stamp. That comes across especially with the food - a lot of the menus bring local produce to the fore. Accessibility is another big advantage. "Logistics can be a nightmare in some locations, but it's easy to get here and, once you're here, you can get around very easily," he adds. "It would be perfect for a treasure hunt with key business messages along the way. You could get around by walking, cycling or horseriding, which is environmentally positive and promotes a theme of powering your own progress."